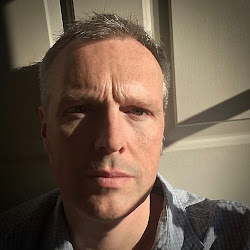 This year has cemented the never ending demand for country exclusives or limited editions, and I have lost count of the number of emails and phone calls asking me, "What is the latest Guerlain release?" After the usual list of Mon Exclusif, Ne m'Oubliez Pas and Cour des Senteurs, I always politely enquire what fragrances by Guerlain they have used in the past. It is at this point that the miracle happens. People suddenly realise that there are fragrances from before 2013 that are still in production! Magazines, societies and fan groups have become so preoccupied with the latest releases that they are forgetting the classics that have made the perfume industry the diverse tapestry that it is. 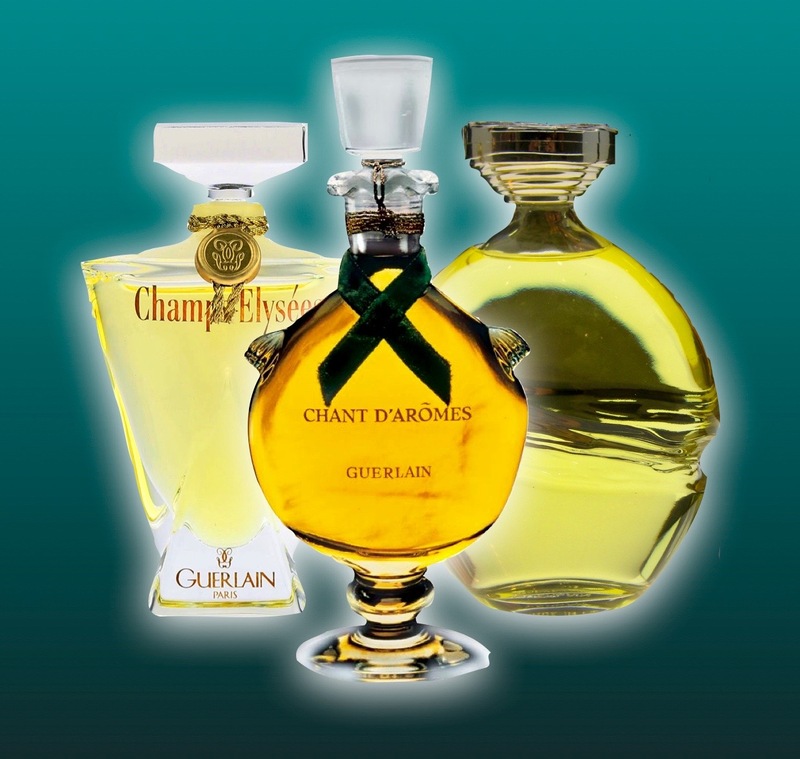 So, let's just quickly revisit a few of the classic Guerlain fragrances that can be found in every department store whether you live in London, Manchester or Aberystwyth. Say hello to four wonderful perfumes, three by the genius Jean-Paul Guerlain, and PLEASE go and try them. If you're in London then send me an email and I'll show you them myself. CHANT D'ARÔMES: This beautiful honeysuckle enriched Floral Chypre was presented in 1962 by Jean-Paul Guerlain. He is the master of Guerlain's romantic florals and created this for his fiancée. 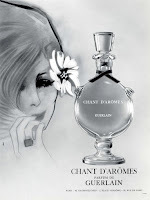 Chant d'Arômes is the "Song of Scent", and each flower carries a specific meaning. 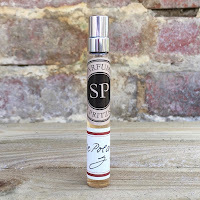 It truly is a beautiful bouquet, with the addition of sandalwood and vanilla. CHAMPS-ÉLYSÉES: Named after the famous address of the Guerlain boutique, and the second perfume to use its name, this delicate Floral debuted in 1996. In an effort to capture the feeling of confident femininity, Olivier Cresp produced a cascade of rose petals which fell through mimosa onto a base of almond wood. A freshness makes this fragrance timeless, ageless and utterly feminine. 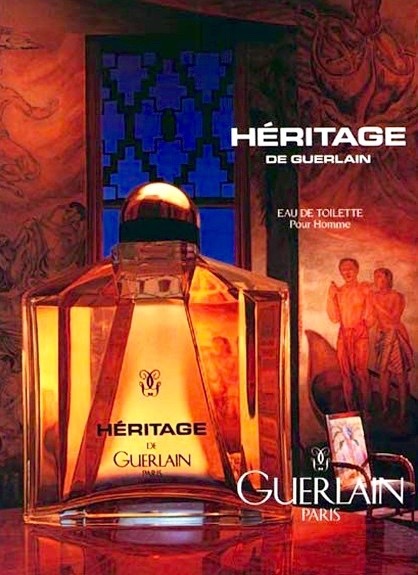 EAU DE GUERLAIN: Inspired by sun-drenched Provence in the South of France, Jean-Paul released this in 1974. Whilst it sits as part of the cologne range this is actually a powerful EDT. An Aromatic Citrus, the verbena and oakmoss provide a contrasting brightness against earthiness, and really stir memories of the herbaceous heat. HÉRITAGE: Created again by Jean-Paul Guerlain with a nod to the past and a glimpse of the future, he succeeded in pulling together timeless ingredients but presented them in a modern way. A Woody Spicy Oriental fragrance with a decadent patchouli and an exciting coriander, this 1992 fragrance is one that can be enjoyed by both men and women.